Both yogurt and milk kefir are cultured milk products. Both the foods are good for health as they are rich in calcium, protein, vitamin B and potassium. They are a little sour in taste and have an identical tart. Both yogurt and milk kefir can be found in plain form and in different fruit flavors. 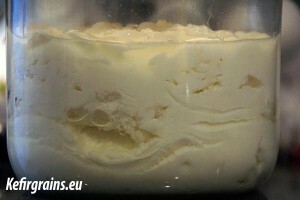 The live kefir cultures used to produce both yogurt and milk kefir results in the breakdown of the milk sugar. This facilitates lactose digestion. 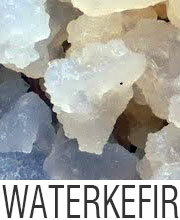 Their primary difference lies in the types and numbers of beneficial bacteria contained in them. The consistency of milk kefir is much thinner than that of yogurt. It is usually obtained as a beverage. You can pour some milk kefir over a cereal, drink it or combine it with fruits to make smoothie. On the other hand, the consistency of yogurt is thicker and it cannot be drunk. Both yogurt and dairy kefir contains probiotics. Probiotics are beneficial bacteria and beneficial yeasts that are normally found in the intestine of humans. They restrict the growth of harmful bacteria which can cause diseases and also boosts the immune system of the body. Milk kefir contains three times the probiotics that are present in yogurt. When kefir is made, milk is generally fermented with a mixture of almost 20 various types of probiotic yeasts and bacteria. Since there is a higher probiotic count in milk kefir, it has more health benefits than yogurt. Your immune system will be boosted and you will stay healthy. The individuals who are totally lactose intolerant can tolerate milk kefir but they cannot tolerate yogurt. This is because the plenty of beneficial bacteria present in milk kefir would digest the lactose in the milk. Therefore the lactose that would be left in kefir is almost 1%. 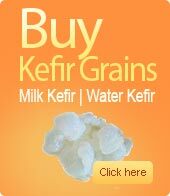 So lactose intolerant individuals can easily have milk kefir. Milk kefir contains plenty of beneficial yeasts such as Torula kefir and Saccharomyces kefir that eliminates the pathogenic yeasts from the body. They keep the intestine clean and healthy. These beneficial yeasts are not present in yogurt. 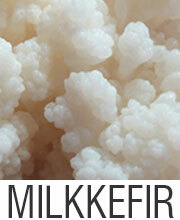 Milk kefir is also easier to digest than yogurt because of the smaller curd size of kefir. This makes milk kefir a nutritious and ideal food for the elderly people, babies and people having chronic digestive disorders. Though yogurt is a more popular food, you must try milk kefir because of its plenty of health benefits. You will surely notice improvement in your digestive health. It is better to have yogurt and milk kefir in plain form than in fruit flavors.